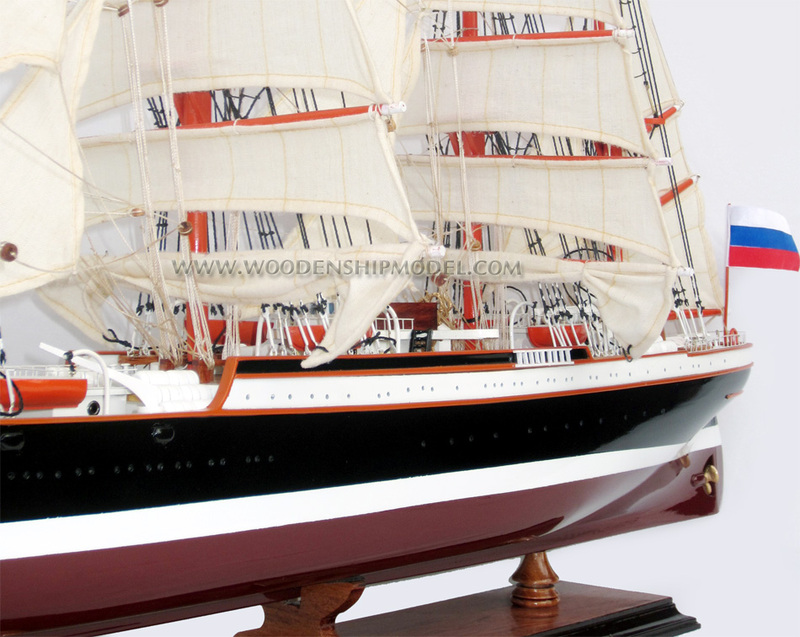 This model is hand-crafted from hard wood with planks on frame construction method and the hull is painted with colors like the real ship. Model is fully assembled and ready for display. A display base and a brass name plate is included. This mode has two sizes available for your choice. 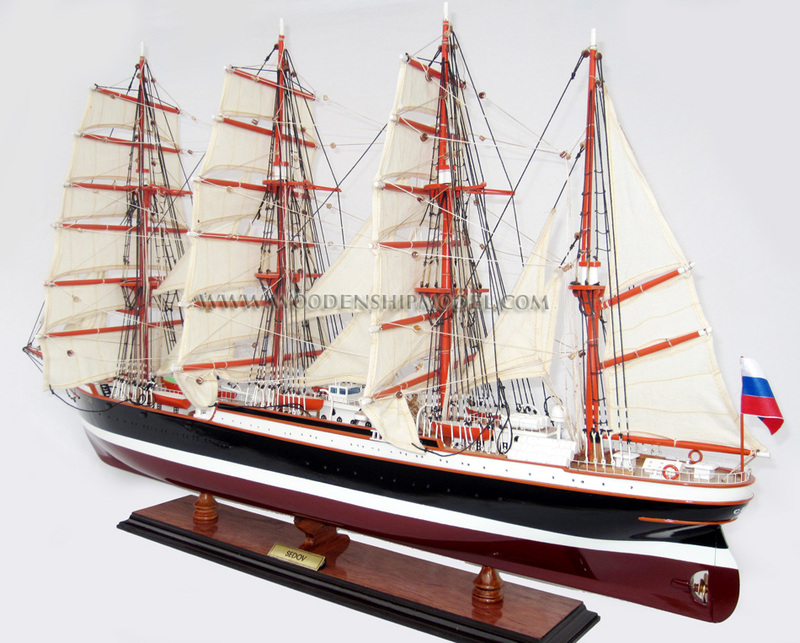 The STS Sedov (Russian: Седов), formerly the Magdalene Vinnen II (1921�1936) and the Kommodore Johnsen (�1948), is a 4-masted steel barque that for almost 80 years was the largest traditional sailing ship in operation. 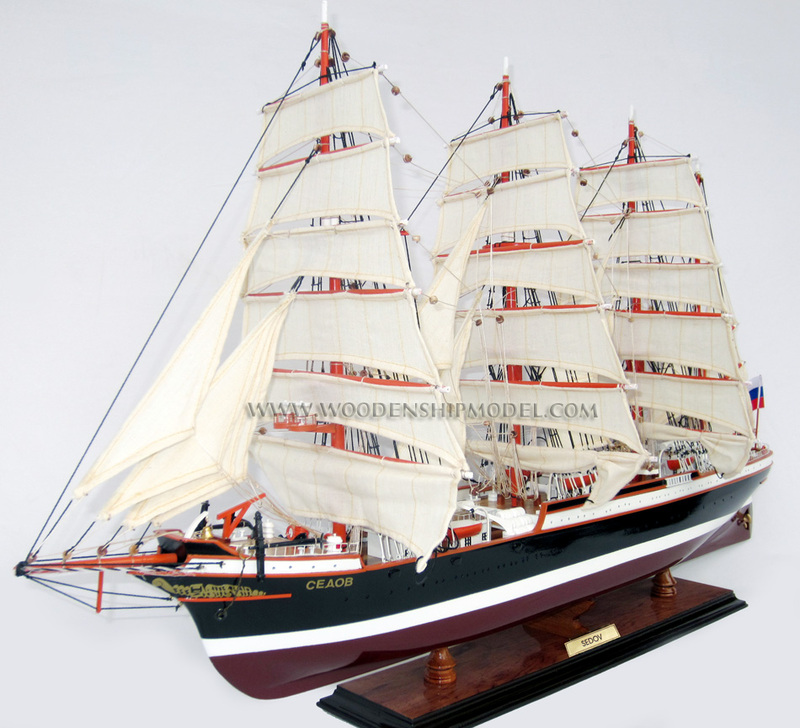 Originally built as a German cargo ship, the Sedov is today a sail training vessel, training cadets from the universities of Murmansk, Saint Petersburg and Arkhangelsk. She participates regularly in the big maritime international events as a privileged host and has also been a regular participant in the The Tall Ships' Races. 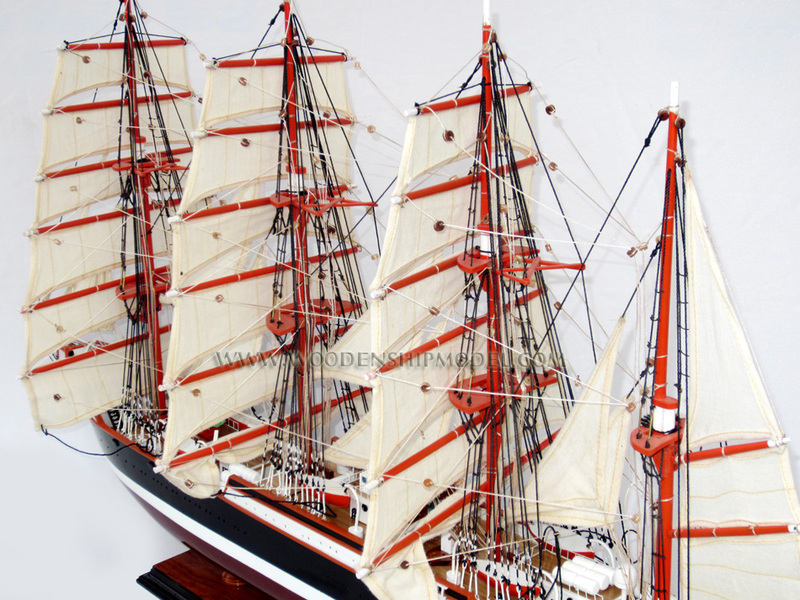 The Magdalene Vinnen II was at the time the world�s largest auxiliary barque and exclusively used as a cargo ship with a crew that was partially made up of cadets. She sailed on her maiden voyage on September 1, 1921. 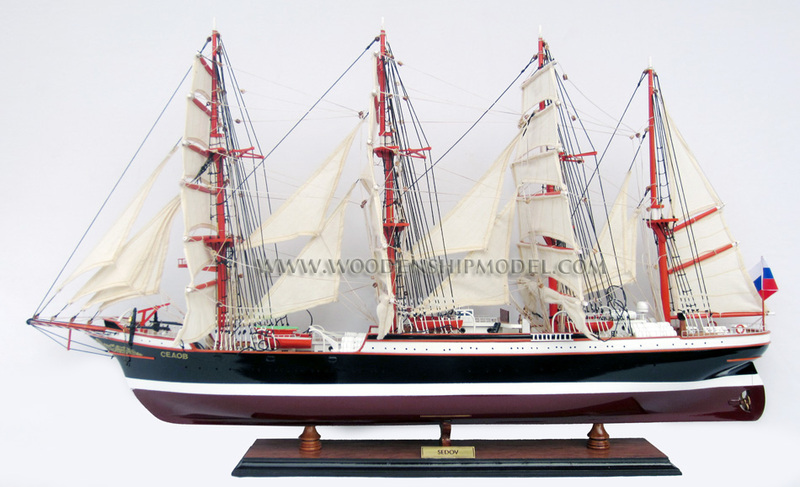 Her voyage took her from Bremen via Cardiff, where she took on coal, to Buenos Aires. Despite bad weather, the journey from England to Argentina with holds full of coal took just 30 days. 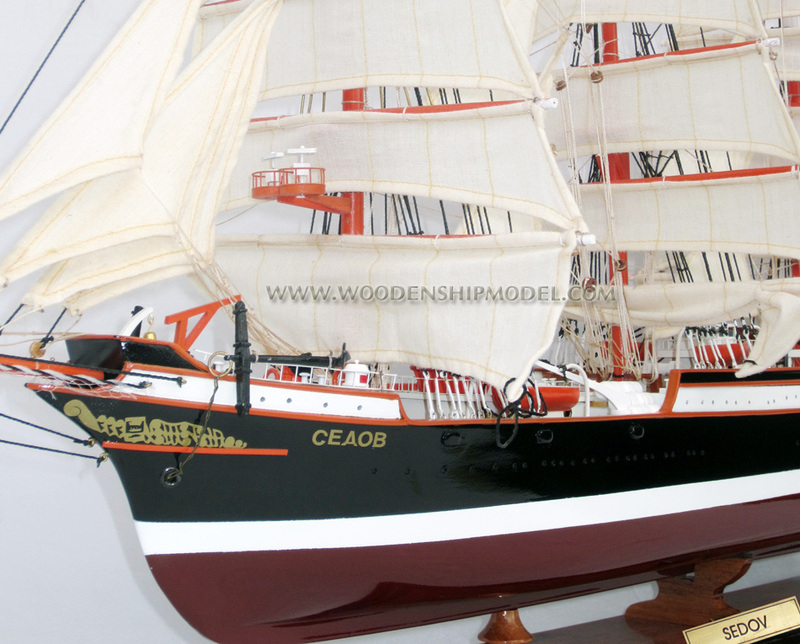 The Magdalene Vinnen II carried all sorts of cargo: apart from coal, she took timber from Finland, wheat from Australia, pyrite from Italy and unit load from Belgium. 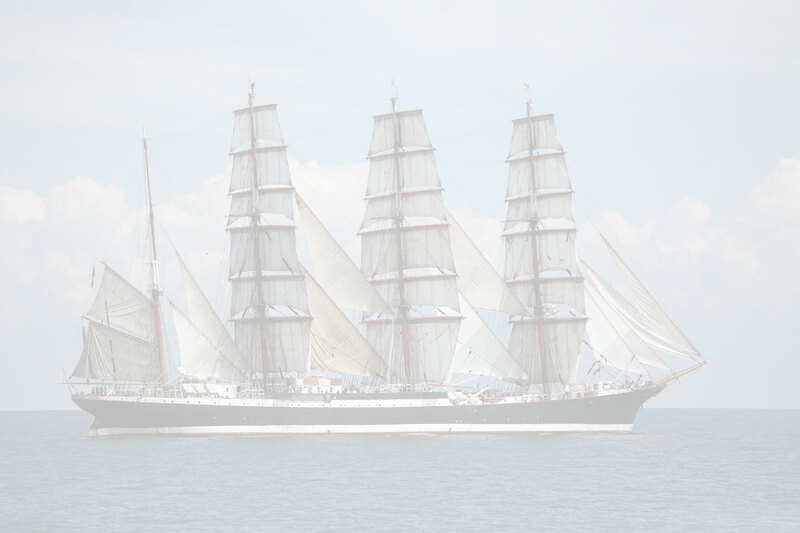 The four-masted barque made two voyages around Cape Horn to Chile. Until her last voyage under the Vinnen flag in 1936, the ship sailed to Argentina, South Africa, Australia, Reunion and the Seychelles. She came under Russian state ownership after the surrender of Germany � on December 20, 1945, the British handed over the ship to the Soviet Union as war reparation. 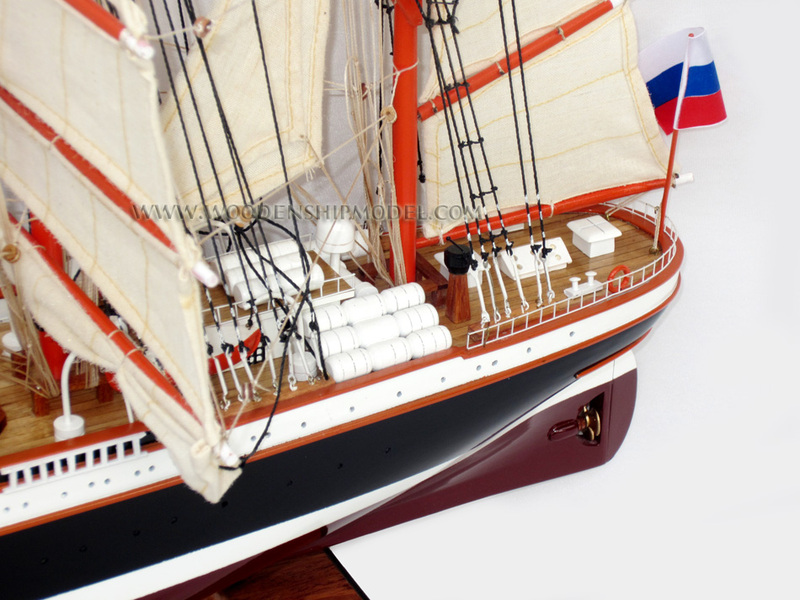 In the Soviet Union, she was converted into a sail training vessel of the Soviet Navy. 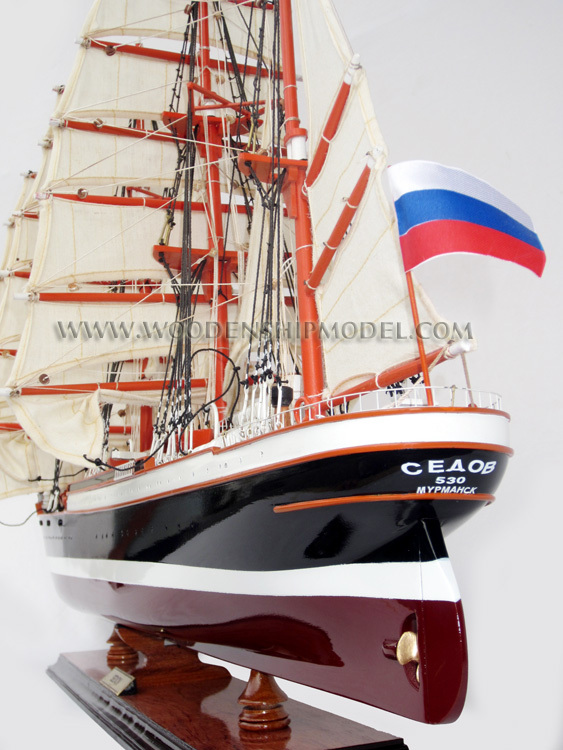 Renamed the Sedov after the Arctic explorer Georgy Sedov who died during an investigation in the Arctic in 1914, she was used as a training ship of the Navy from 1952 to 1957. She made several friendly visits to South America and Africa during this period. From 1957 to 1966 she was used as an oceanographic research ship in the North Atlantic. During these voyages, the Soviet Navy also used her for training of young cadets. In 1966 when she was transferred to the reserve in Kronstadt, formally under the civil ownership of the Ministry of Fisheries. In the 1970s, she was only infrequently used as a training ship, sailing in the Gulf of Finland. 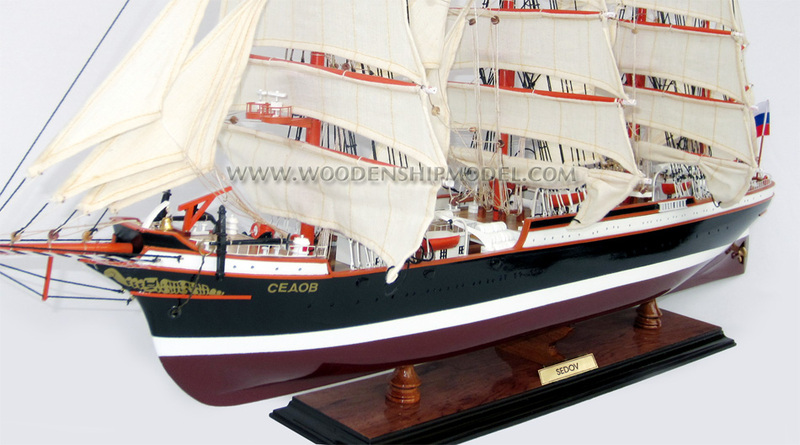 In 1981, the Sedov reappeared after renovation which had new features added such as a glass-domed banquet hall with a stage and a movie theater. She was now based at the Baltic Division of Training Ships in Riga. She embarked cadets from schools of navigation of Kaliningrad and Murmansk. After the declaration of independence of Latvia in 1991, she left Riga for Murmansk, transferred to the Murmansk naval school with the city of Murmansk ensuring her management and maintenance. For over a year French holders of defaulted Russian bonds have been warning they were going to reorganize and export their claim to Anglo-Saxon jurisdictions, more friendly to private citizens than the French. 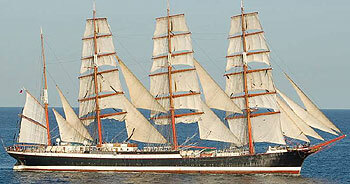 In May 2008, in the wake of British-Russian tension, Sedov was instructed by Moscow not to dock as planned at Southend on Sea. The September 2008 visit to Falmouth, the starting point of FUNCHAL 500 race to Madeira, also seems to be in jeopardy.